I needed some fan guards for my arcade machine and for a neat little entertainment centre hack. Playing around I made a fish-eye honey-comb screen that looked pretty good. 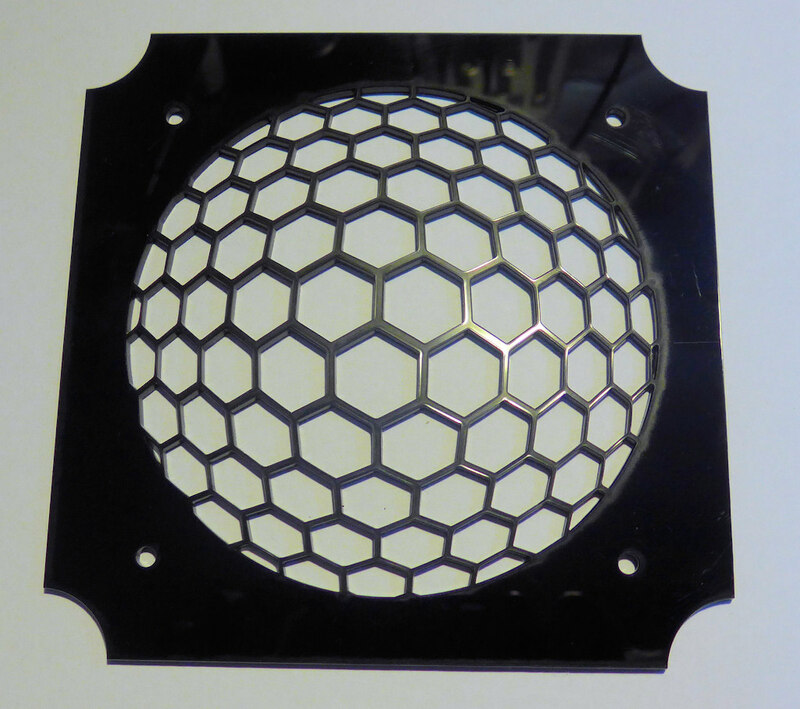 The pattern has larger holes near the centre of the fan and smaller holes where it counts. 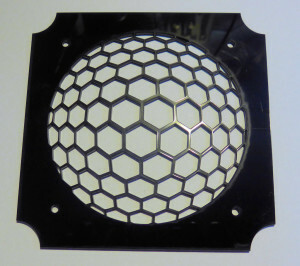 Making this is pretty easy if you have a laser cutter. If you don’t grab the .dxf file and head of to your local laser/acrylic cutting business or makerspace. The .dxf file is downloadable here. A printable .png (good for the template) is downloadable here. Q: I’m too lazy, can you sell me one?